Usha Hemba, one of the fastest rising Benue rapper has done it again. After enjoying massive air play on radio stations across Nigeria with his dance hall single #Ato. 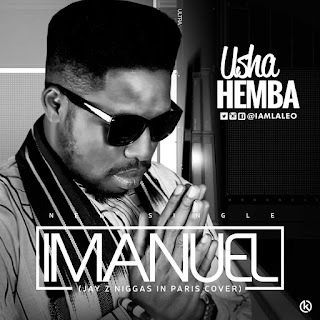 The OLAMEN IMO 1 OF AYATUTU has dropped yet another new single, he calls this one #Imanuel. On this one the rapper is laments on the current state of the world events where humanity seems to be sinking down to abyss. Hence the call for Imanuel's intervention. Va va va va ye amo meaning come & go with me.